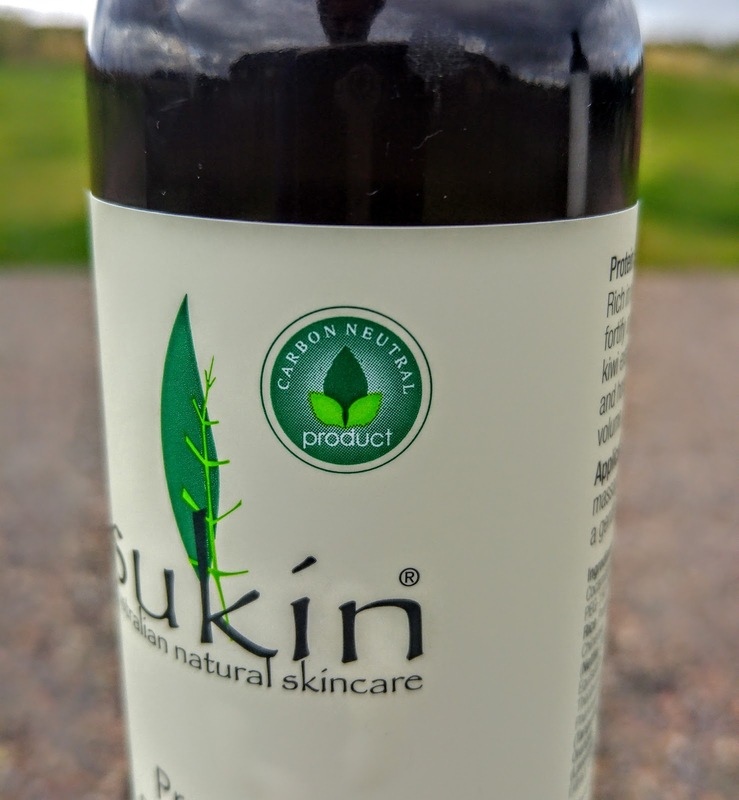 One of the new products I reviewed last month was by the Australian Natural Skincare brand Sukin. It’s Hydration Booster has not drifted far from my bedside table ever since I first tried it. Love it. Last week when I was leaving my local TK Maxx I suddenly spotted the Sukin logo out of the corner of my eye. Happy days! Easy purchase to make. 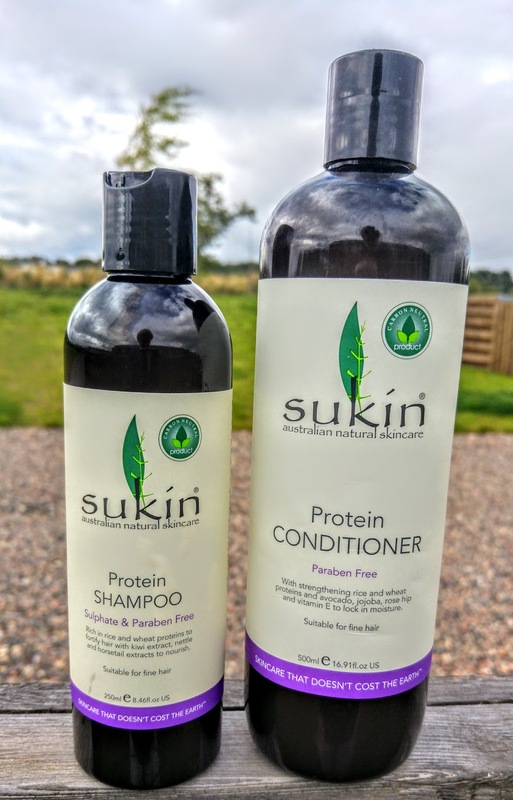 So … for the last few days I have been trying out Sukin’s Protein Shampoo and Conditioner. These products proudly display an impressive list of free from ingredients on the side of the bottle! They also smell amazing! 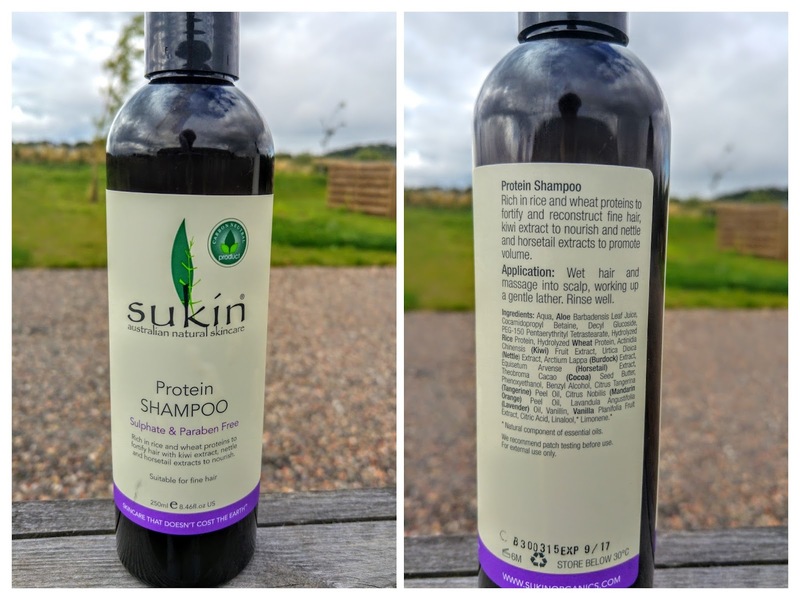 As with most non-toxic shampoos you will not expect a large amount of lather from the Protein Shampoo, however it has left my (Aveda highlighted) hair feeling great. I have also been using it on my daughter, who has much finer hair. Works equally well. 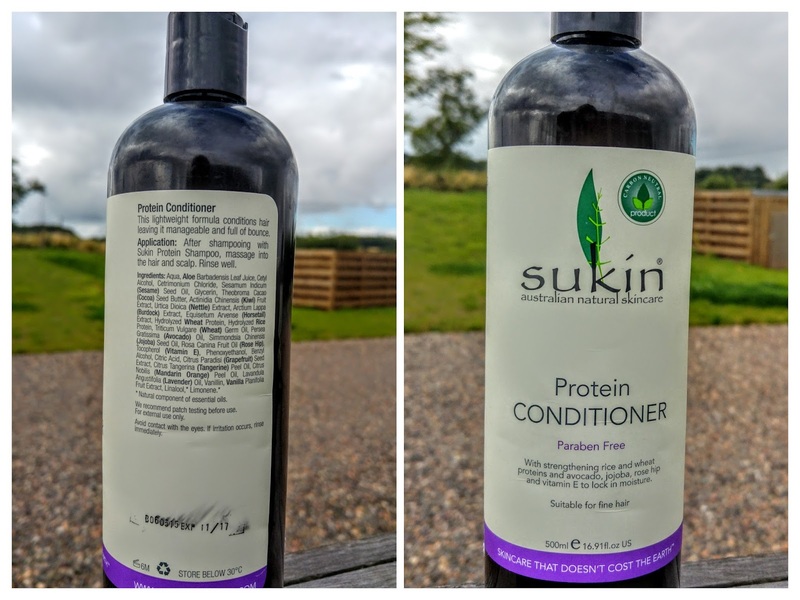 The Protein Conditioner is my favourite out of the two. It is lightweight, it leaves my hair super soft to touch and you don’t need a lot of it. Ah…. and I love the smell of it!! Ich hätte gerne den Protein Conditioner von Skin und ein Haarschampoo, können Sie mir sagen wo und wie ich die bekommen kann, sie sind überall ausverkauft.